Brian Harris, president of Tennessee Right to Life, said, “Today’s ruling is vindication of the state’s amendment process and victory for the thousands of pro-life Tennesseans who sacrificed to see Amendment 1 passed. 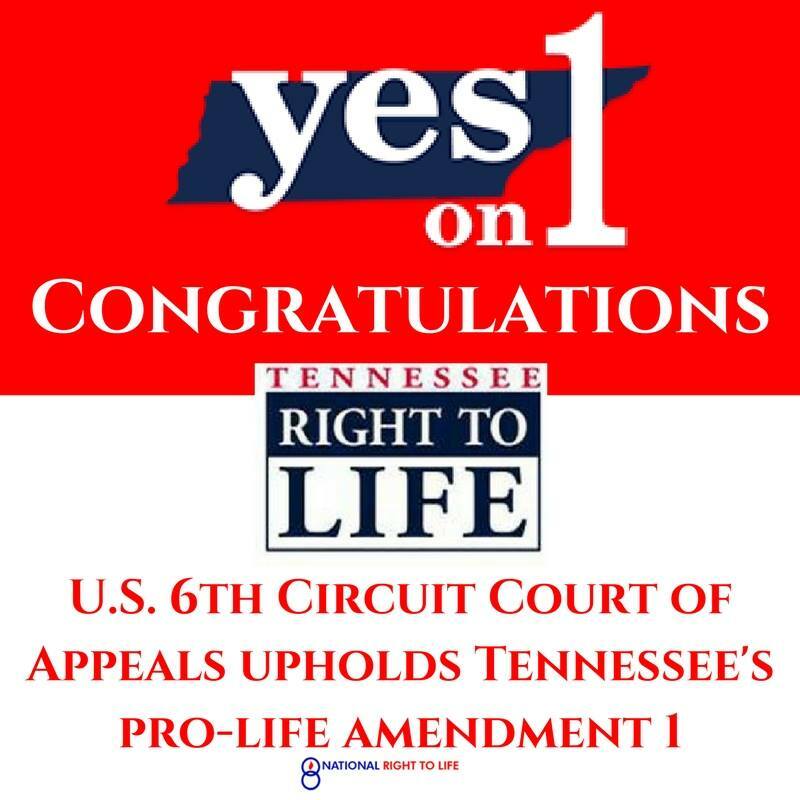 Amendment 1 was made necessary by Planned Parenthood of Middle Tennessee v. Sundquist, a radical pro-abortion decision by the Tennessee Supreme Court in 2000, which wrongly declared a so-called “fundamental right to abortion” in the Tennessee Constitution thereby making enforcement of common-sense protections impossible in Tennessee. Tennessee Right to Life expresses profound gratitude to the many supporters, advocates, and voters who sacrificed to see placed on the ballot and passed by public vote.